The 57th annual NAU Jazz Festival will feature world-class guest artists, clinicians, NAU faculty masterclasses, and many talented participating bands from throughout the region. The festival is a non-competitive forum where high school and junior high bands perform for a panel of esteemed adjudicators, receiving ratings, comments, recordings, and clinics. There will be NAU faculty masterclasses, performances, and clinics offered throughout the festival in addition to our featured Guest Artist Concert on Friday, February 22nd at 8 pm in Ardrey Memorial Auditorium. The NAU Jazz Festival 2019 featured guest artists are sponsored by the generous support of John and Lynn Schiek of Flagstaff, AZ. We thank them for their continued partnership with NAU Jazz Studies. We are pleased to announce our 2019 guest artists: The Fabian Almazan Trio featuring Linda Oh, Henry Cole, and special guest Brice Winston. 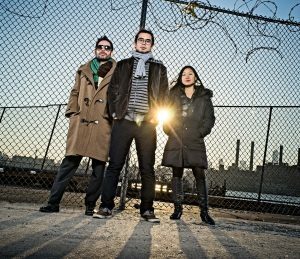 This NYC-based trio features three of the brightest rising stars in jazz. All bandleaders, composers, and educators in their own right, they collectively collaborate with some of the music’s most iconic artists including Terence Blanchard, Joe Lovano, Pat Metheny, Gary Burton, and Quincy Jones. Acclaimed saxophonist, educator, and co-founder of the Tucson Jazz Institute, Brice Winston will join the trio reuniting with Fabian, a fellow member of Terence Blanchard’s group. 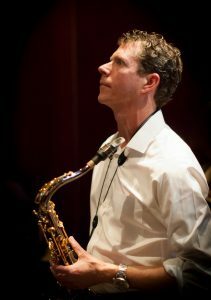 Brice is also a Guest Artist in Residence with NAU Jazz Studies, regularly working with our students in lessons, masterclasses, and performances throughout the year. Read more about these fantastic artists at their individual websites. Our guest artists will present a general masterclass on Friday, February 22nd at 1:00 pm in Ardrey Memorial Auditorium. All participating band performances, clinics, and masterclasses are free and open to the public. A schedule of performances and events will be posted as the festival approaches. Our featured Guest Artist Concert is a highlight of the festival, taking place Friday, February 22nd at 8 pm in Ardrey Memorial Auditorium featuring the Fabian Almazan Trio, Brice Winston, and NAU Jazz Ensemble One. Tickets will be available starting January 1st through the NAU Central Ticket Office at (888) 520-7214. We look forward to seeing you at the NAU Jazz Festival 2019! For more information about the festival please contact Chris Finet at (928) 523-3496 or Christopher.Finet@nau.edu.